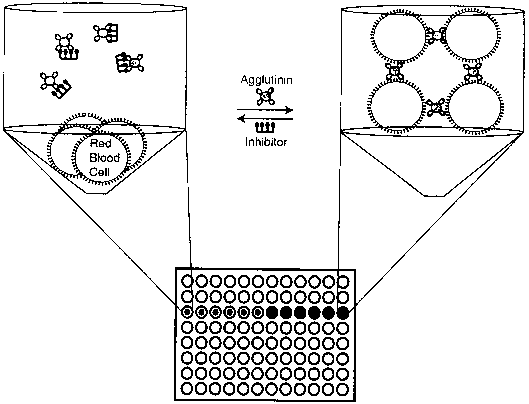 Figure 9 Hemagglutination of red blood cells. 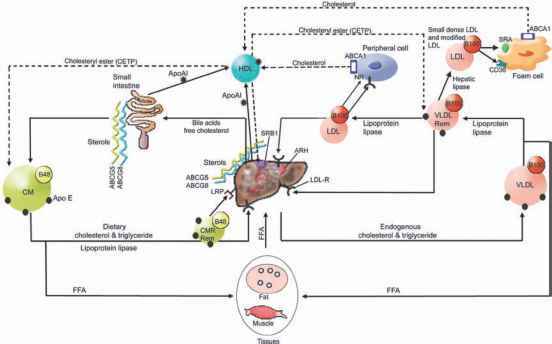 Red blood cells are combined with a lectin that can recognize cell surface carbohydrate ligands. In the presence of inhibitors, the cells pellet, forming a visually identifiable spot in the well. Because cross-linked cells cannot pellet; the well maintains a homogeneous red tint. is allowed to flow over the surface (Fig. 10). Receptor-ligand association is monitored to generate an apparent on-rate, and dissociation to afford the apparent offrate. From these values, an equilibrium constant can be obtained. To overcome the complications associated with monitoring ligand function in a heterogeneous system, a competition assay can be employed in which inhibitors are evaluated for their ability to block the target binding interaction. Thus, multiple ligands can be screened rapidly with a single binding surface [67-69]. One advantage of SPR is that only small amounts of material are required for the analysis. In addition, the availability of automated sample injection and monitoring facilitates the rapid screening of large numbers of compounds. Since confounding interactions can complicate the analysis, the design and implementation of an optimal binding surface is critical for the generation of meaningful data.